USC Footballs opens their season this Saturday against Fresno State. Photo by Neon Tommy, via Flickr creative commons. 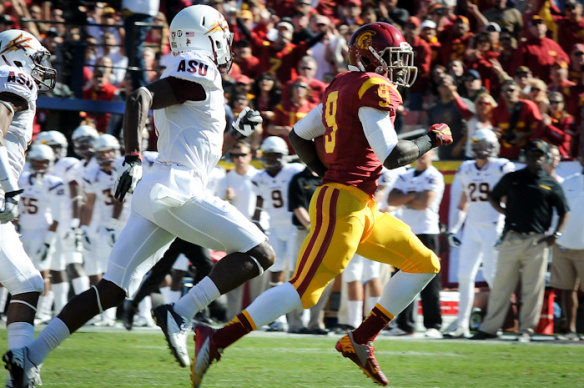 Fight On with USC Football as the Trojans play their home opener against Fresno State. Make sure you take the Expo Line to save on parking and traffic hassles! LA’s first Made In America festival is going down this weekend at Grand Park. Check here for information regarding bus and rail service and street closures in the area.